The new generation of robot dog! • The new generation of robot dog! 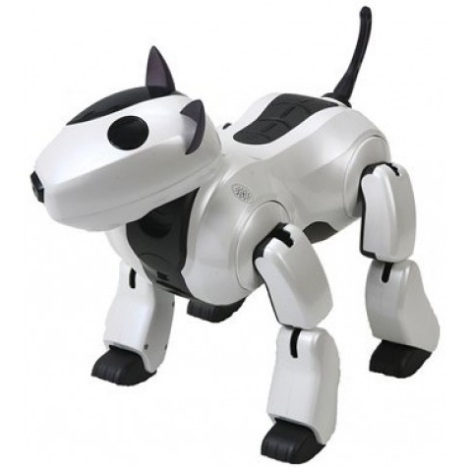 The Dongbu ROBOT Genibo Robot Dogis a Bulterrier type dog. It has been designed in Korea where it has been extremely popular since 2005. This Genibo Dog has a mischievous and charming personality. It does not like to have its sides touched. It also loses energy and falls asleep when its owner does not pay attention to it for at least five minutes. It may cause trouble here and there, if vigilance is not kept. Your family will love your Genibo and feel it is a real pet dog. Like a real dog, Genibo can recognize your family and show you emotion!